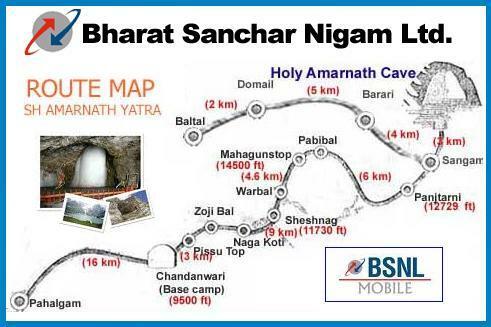 India’s National telecom backbone Bharat Sanchar Nigam Ltd (BSNL) once again created a history in the Indian telecom industry with the launch of first GSM Mobile Service at Holy Amarnath cave, situated at a height of 13,500 feet in Jammu and Kashmir telecom circle. BSNL GSM services at Holy Amarnath cave inaugurated by Mr. Sachin Pilot, Minister of State for Communications & Information Technology , who made the first call from the Holy cave to Mr. N N Vohra, the Governor of Jammu and Kashmir. 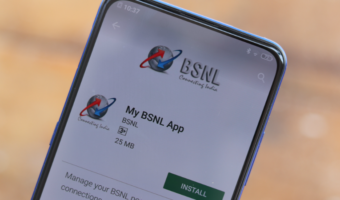 In an attempt to serve the nation, BSNL’s Jammu and Kashmir unit has erected eleven BTS (Mobile Tower) at Baltal-I, Baltal-II, Baltal Base Camp, Noonwan, Lakipora, Betab Valley, Domail, Sangam-Holi Cave, Panchtarni, Chandanwari and Chandanwari Base Camp. 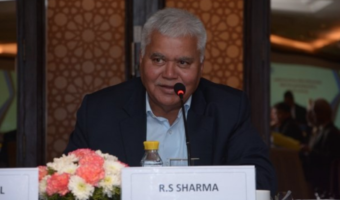 BSNL become the first telecom operator which provide seamless GSM mobile connectivity to local inhabitants, the administration and security forces as well as over 4 lakh pilgrims who visit the Amarnath shrine every year, especially old people who would like to stay connected to their families while undertaking the Amarnath Yatra. 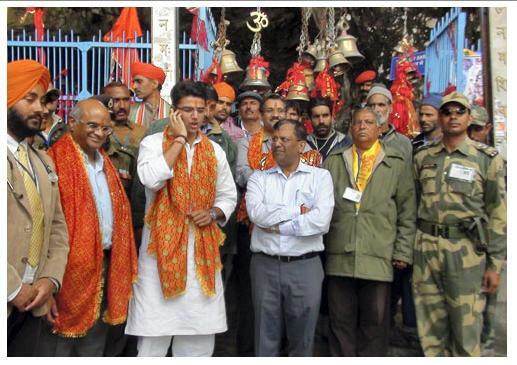 Speaking on the launch of Mobile services, Mr Sachin Pilot said : BSNL had risen well to the challenging task of providing connectivity to the Amarnath shrine, which is situated at a height of 13,500 feet. He also thanked to Omar Abdullah, Chief Minister of Jammu and Kashmir and Shri Amarnath Shrine Board for providing the required support to build the telecom infrastructure. No, Roaming Service on Prepaid is not allowed in Jammu and Kashmir telecom circle including Amarnath. (for Prepaid IN Roamers from other telecom circles).